Want to Sell Your Business Fast? 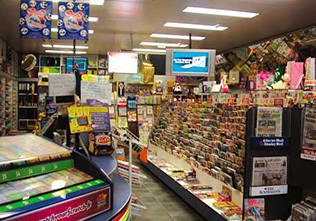 Australian Business For Sale will share with you 30 years experience and know-how in helping you attract Family Buyers to sell your business to. For this you need a first class marketing and advertising platform, with a Proven Buyer Attraction formula. Our unique system is the Australian "Business For Sale" authority. Available from Newsagencies Australia wide Click here - digital demo! *All packages also come with other extra benefits. Thanks to your magazine and website services at Australian Business For Sale, enough interest was generated in my Hairdressing salon business, that it successfully sold. I certainly found it an effective way to reach cashed-up buyers. I thank you for your help and would be happy to recommend your services to anyone serious about selling a business and looking for a way to do it that is value for money. 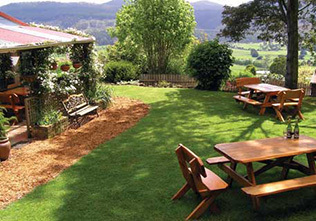 We could like to thank Business for Sale for the prompt sale of our Vineyard/Gallery. We were sceptical at first but sold the business to the second couple who come to look, having been advertised in your magazine for only 6 weeks. We had many enquiries and will recommend you to anyone selling a business. I would just like to inform you that I have purchased Fighter Force Newspaper and introduce myself as the new owner. I would like to compliment you on your website where I found this business. 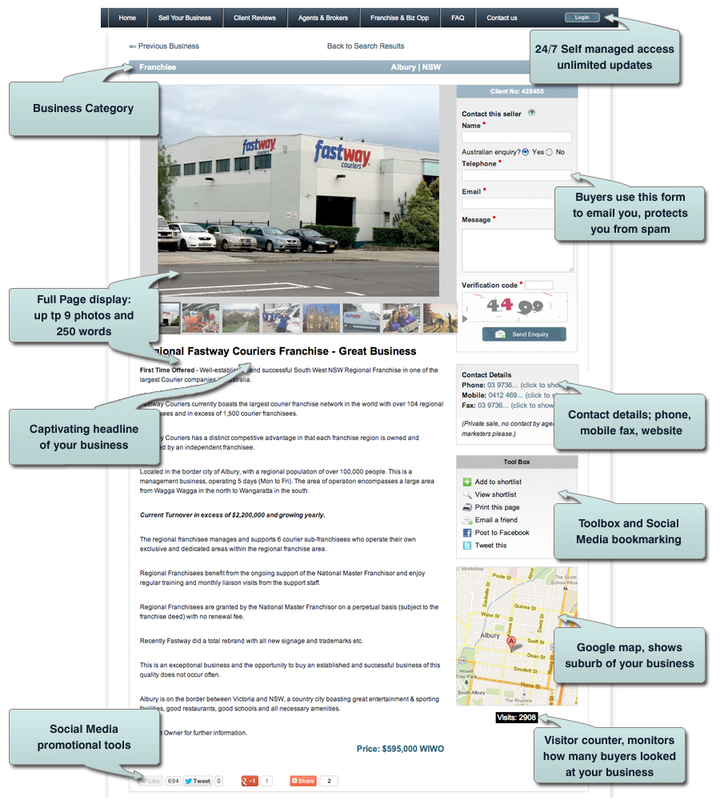 Your website allowed me to narrow my search by listing a large range of businesses all in one convenient spot. It really helped me find quickly what I wanted to buy Please take this business off your database as it is no longer for sale and I don’t intend to put it on the market for a long time to come. Choose up to 3 different categories/sub-categories. Enhance the chance to be found. You can call us during business hours, and speak to a REAL person. You can make an appointment to come to our office, located in Sydney, or talk to one of our business advisors about how to sell your business. 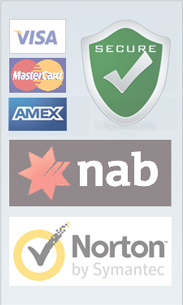 www.businessforsale.com.au is a verified safe site, so your e-mail is protected from spam and viruses. Your email address is hidden and buyers will complete an enquiry form. Sell your business without signing a contract, and pay NO COMMISSION when it sells. You are not restricted and you are not locked in an exclusive arengment. Australian Business For Sale is a registered trademark and as publishers in the business for sale arena, we receive articles, editorials and press releases from government and non-government small business specialists for publication on our website, and in our print directory. These allow us to keep both buyers and sellers up-to-date with important information relating to small business. PLEASE NOTE: These packages are for PRIVATE SELLERS ONLY . 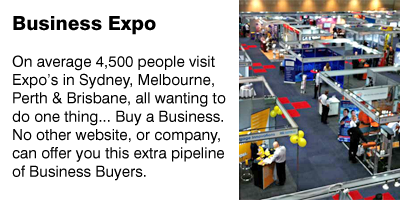 On average 4,500 people visit Expo’s in Sydney, Melbourne, Perth & Brisbane, all wanting to do one thing... Buy a Business. No other website, or company, can offer you this extra pipeline of Business Buyers. 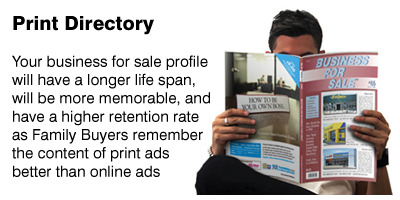 Your business for sale profile will have a longer life span, will be more memorable, and have a higher retention rate as Family Buyers remember the content of print ads better than online ads. 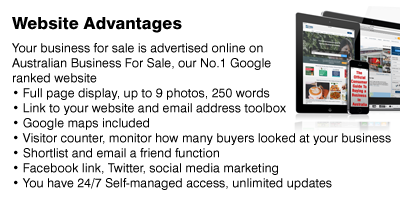 Your business for sale will attract more buyers because you get additional exposure through Social Media marketing on Facebook, Twitter, Google Plus, Youtube (if you have a video), RSS feeds. 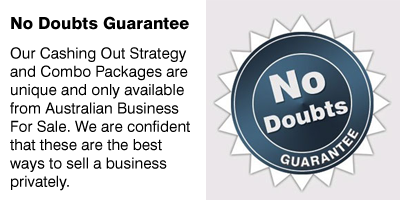 Our Cashing Out Strategy and Combo Packages are unique and only available from Australian Business For Sale. We are confident that these are the best ways to sell a business privately. 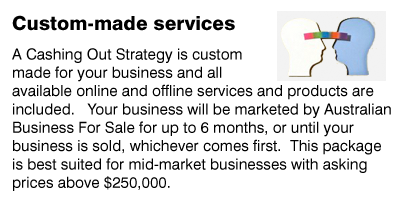 A Cashing Out Strategy is custom made for your business and all available online and offline services and products are included. Your business will be marketed by Australian Business For Sale for up to 6 months, or until your business is sold, whichever comes first. 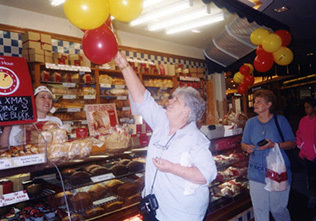 This package is best suited for mid-market businesses with asking prices above $250,000.